As the seat of Madison County, Jackson, Tennessee, developed as an important railroad center located between Memphis and the state capital of Nashville. Its connection to the railroad was only solidified when Jackson’s own Casey Jones died a hero and was born a legend after he sacrificed himself to save the passengers on the train he was engineering. Jackson’s status as a regional railroad hub attracted a number of Jewish immigrants to settle in the town after the Civil War. A small Jewish community remains in Jackson to this day. According to one account, the first Jews to settle in Jackson were Julius Friedlob and J. Solomon, who lived in town by 1867. An immigrant from Poland, Friedlob arrived in Jackson on horseback from Memphis and opened J. Friedlob Dry Goods & Clothing Company. He was soon joined by several other Jews; by 1872, there were 21 Jewish merchants listed in the Jackson City Directory. One of these was Nathan Samuels, who owned the Pioneer Cigar Store. Later, Samuels owned a saloon, although he would annually sell the establishment to his bartender on the day before the High Holidays, and then buy it back afterward so his business could remain open on Rosh Hashanah and Yom Kippur without explicitly violating Jewish law. Many of these early settlers did not remain in Jackson for very long. Louis Englander owned a store in Jackson by 1873. He quickly became a civic leader in his adopted town, serving as an alderman. By 1880, he had moved to Hot Springs, Arkansas. Of the 39 Jews listed in the 1876 Jackson city directory, only 16 were still in Jackson in 1891. Of the 40 Jews listed in 1891, only 12 were listed ten years later. Despite high turnover in population, Jackson’s Jews soon began to organize Jewish institutions. In 1873, the bought land for a cemetery and by 1877 they had created a small religious school. In 1885, they formally established themselves as Congregation B’nai Israel (Children of Israel) and bought land for a synagogue. Julius Friedlob was the president of the new congregation, which met in its early years in members’ homes and at the local Odd Fellows lodge. Victor Woerner often served as lay leader during services. In 1897, they swapped their property and $600 for the Cumberland Presbyterian Church, which they used as their first permanent synagogue. Rabbi Max Samfield of Memphis officiated at the building’s dedication. In its early years, B’nai Israel did not have a rabbi, and members led services themselves. In 1902, they hired Rabbi Louis Schreiber as their first spiritual leader, though he only stayed in Jackson for two years. In its early years before they had a building, Orthodox and Reform members would worship in separate homes. By 1907, the congregation had chosen to embrace Reform Judaism and joined the Union of American Hebrew Congregations. The following year they hired Rabbi Joseph Bogen, a 64 year-old German immigrant who had earlier served Reform congregations in Keokuk, Iowa, Greenville, Mississippi, and Texarkana, Texas. Rabbi Bogen was beloved by his congregation, which elected him rabbi for life. Indeed, Bogen served B’nai Israel until his death in 1918. The congregation was still rather small, with only 20 member families, and they were unable to hire a full-time rabbi for the next 14 years. On the 65th anniversary of B’nai Israel, the local Jackson newspaper reflected on the impact Jews had had on the city, writing, “our Jewish citizens have been an integral part of our splendid community. They have helped the city to grow, they have made heavy investments here, and they have been keenly alive to their responsibilities as citizens.” Indeed, several Jews made significant contributions to Jackson’s civic and economic life. Edward Felsenthal, a German Jewish immigrant, first settled in Brownsville, Tennessee, in 1860. In 1883, he moved to Jackson and opened a grocery business. His daughter Celia married Jacob Felsenthal of Chicago, and both moved to Jackson in 1895 to take over the family business after Edward had died suddenly. Jacob Felsenthal built the wholesale grocery business into a thriving operation. He was a leader of the local Jewish community, serving as president of B’nai Israel. He also became active in civic affairs, serving as both an alderman and a member of the school board. Cecilia was involved with many different women’s organizations and charities. Though they moved to Memphis in 1918, Cecilia and Jacob later gave the deed to their 12-acre vacation estate to the Jackson YMCA so it could be used for camping and picnics by social and religious groups. Born in Russia, Sam Lindy settled in Jackson in 1903 after peddling for three years. Lindy opened the Boston Store and New York Store before creating the Grand-Leader Department Store, one of the largest in the area. Sam’s sons Herman and Julius eventually took over the family business. Julius Lindy served as president of B’nai Israel and was active in many local civic organizations. He was on the board of the local YMCA and provided memberships for poor children. Julius was very involved with local charities, and helped to establish the Jackson Salvation Army. 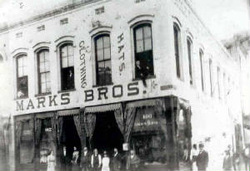 Civically minded merchants like the Markses, Rosenblooms, and Lindys formed the backbone of the Jackson Jewish community, which blossomed in the early 20th century. Over the years, B’nai Israel had rabbinic leadership only intermittently, often relying on student rabbis from Hebrew Union College, who would travel from Cincinnati to Jackson twice a month. Rabbi Samson Levey led the congregation from 1934 to 1938, and in 1947-48. In the late 1950s and early 1960s, Ernst Appel was B’nai Israel’s rabbi. They never kept a rabbi for very long, and have gone long stretches without a full-time spiritual leader. Since the 1960s, B'nai Israel has been served by rabbinic students and part-time rabbis. From 1999 to 2008, Rabbi Marjorie Meyer came to Jackson once a month from Cincinnati to lead services. Jews have continued to play important roles in the larger community, even as their numbers have declined. Jonas Kisber owned a large downtown department store in the mid-20th century. His son, Matthew Kisber, represented Jackson in the Tennessee House of Representatives for ten terms, eventually becoming the chairman of the Ways and Means Committee. 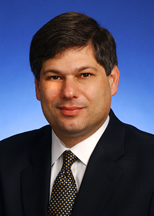 In 2003, Tennessee Governor Phil Bredesen appointed Kisber to be the Commissioner of the Department of Economic and Community Development. In recent decades, B’nai Israel and the Jackson Jewish community have shrunk in numbers. In 1968, 120 Jews lived in Jackson; today, there are about 35. B’nai Israel had 75 member families in 1970, but only 21 today. Despite these declining numbers, B’nai Israel still holds weekly Shabbat services and a small Sunday school. In recent years, there has been a significant effort to preserve the history of the Jackson Jewish community. 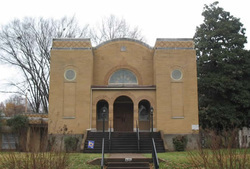 In 2002, Jackson-based Lambuth College created the Lambuth-B’nai Israel Center for Jewish Studies, which has focused on documenting and displaying the history of Jackson Jews. Dr. Pam Dennis, who is not Jewish, has spearheaded this effort, curating an exhibit about the 140-year history of Jews in Jackson. While the long term future of Jackson’s Jewish community remains unclear, such efforts will ensure that their legacy will not be forgotten.